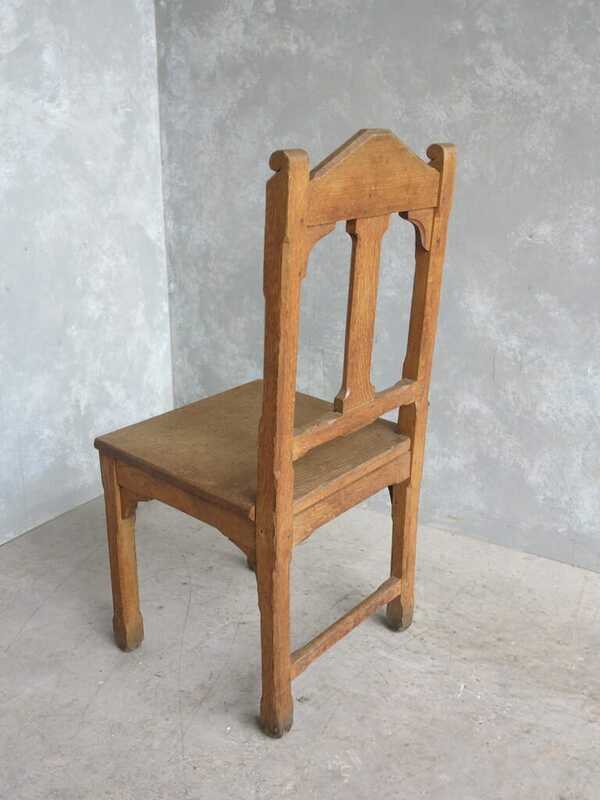 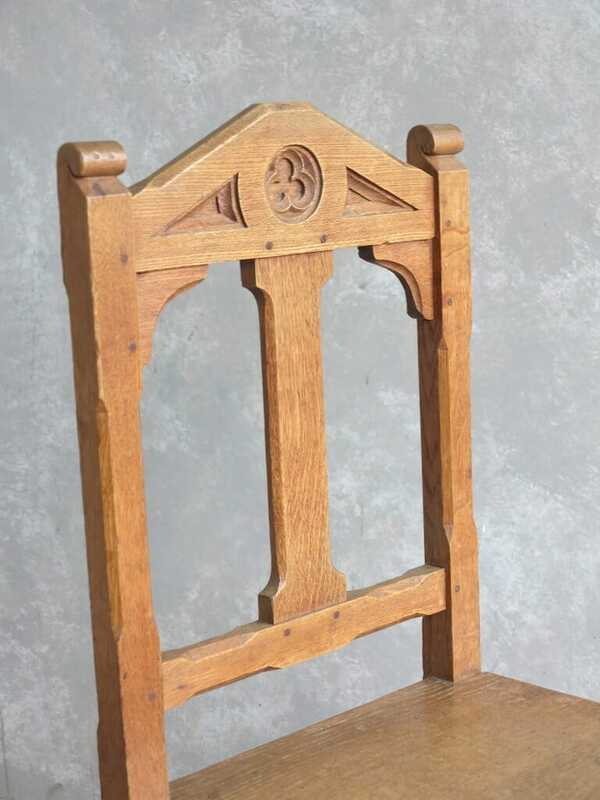 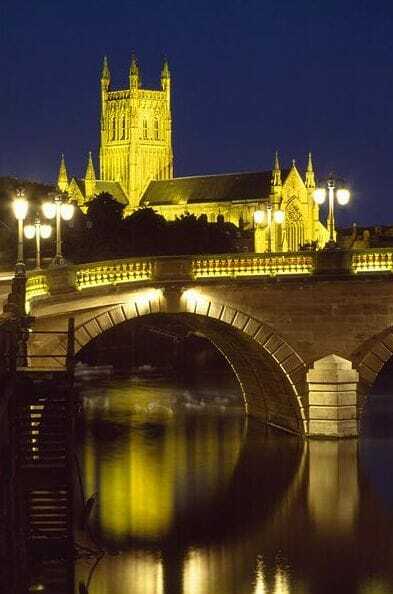 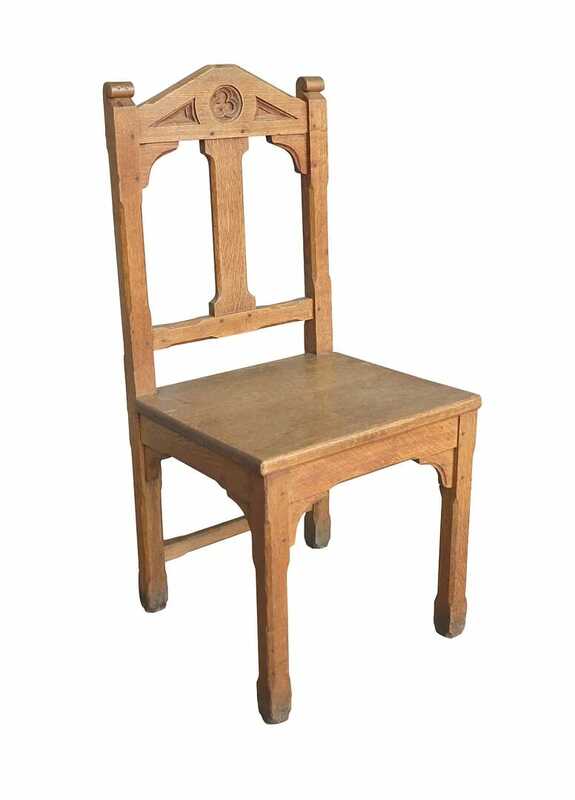 Original Worcester Cathedral Antique Gothic Light Oak Chair. 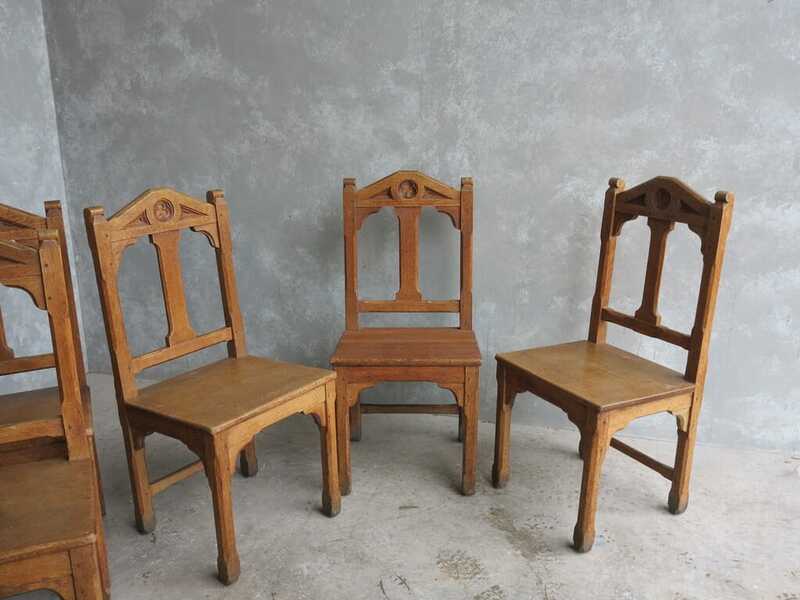 These chairs are circa 1870. 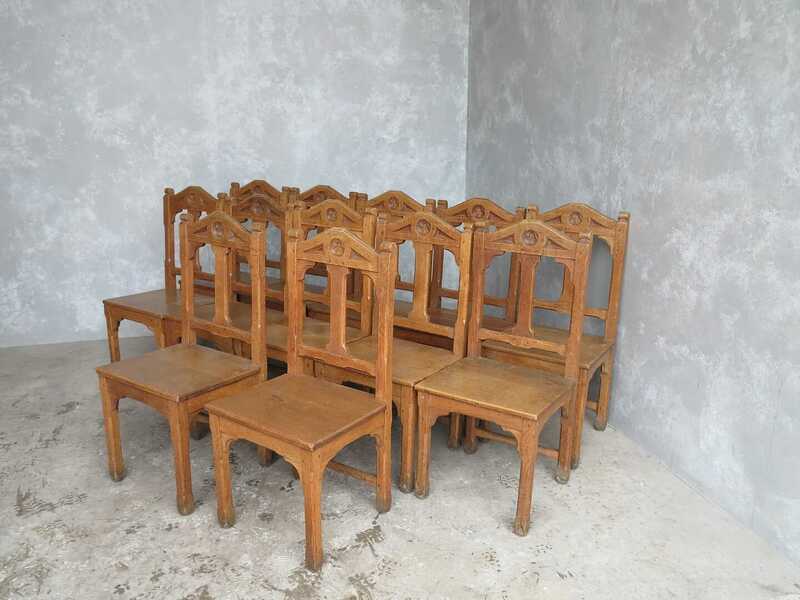 The chairs measure 37" Tall x 17" Seat Width x 17" Seat Height. 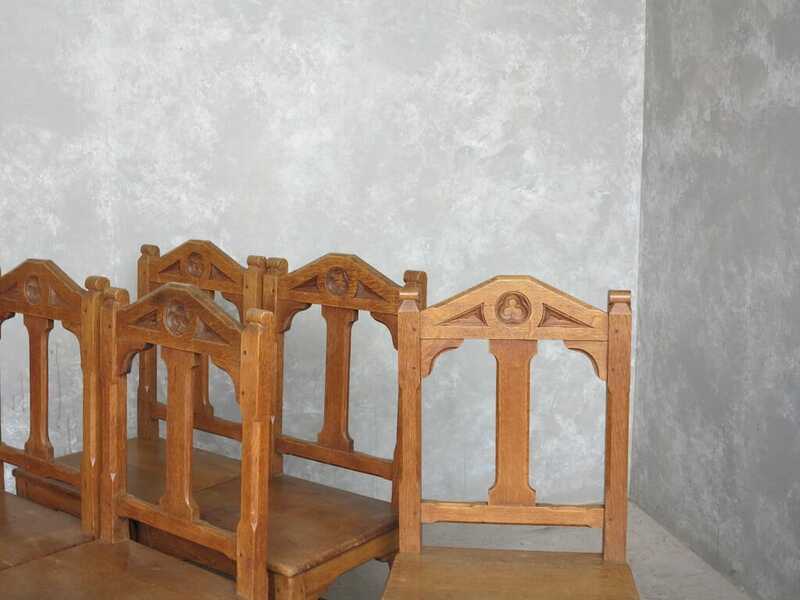 In the images you can see the chairs in situ. 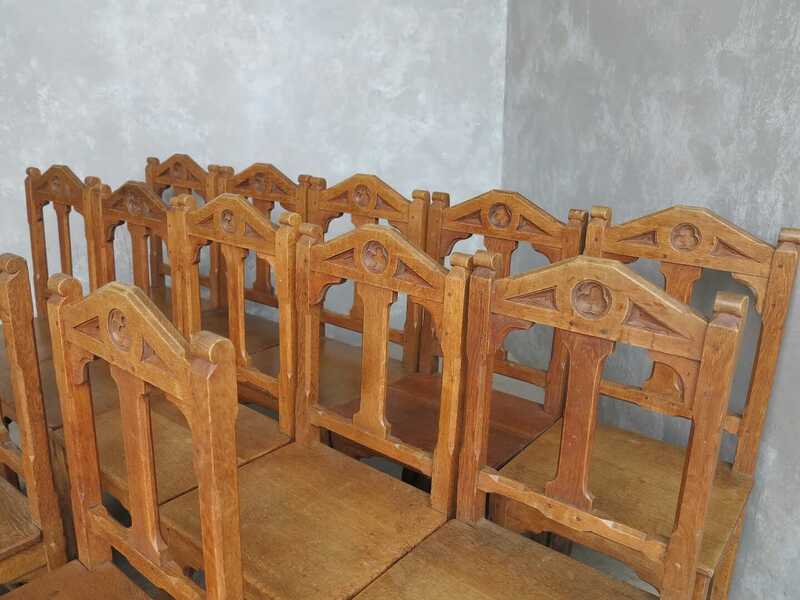 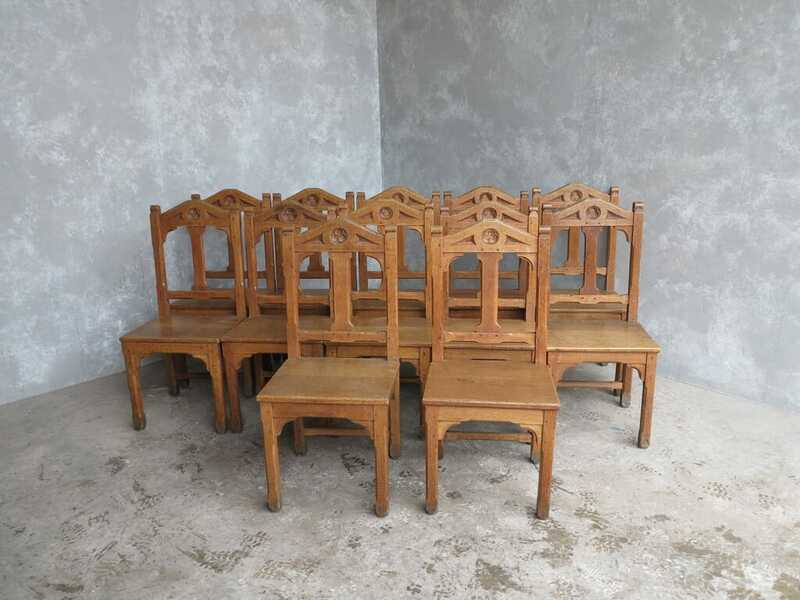 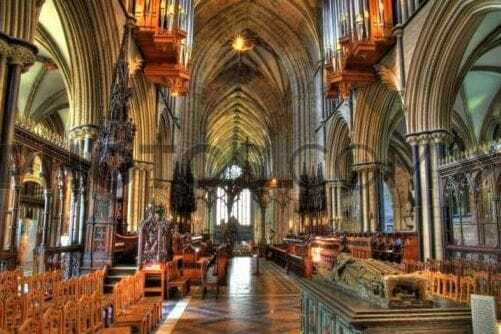 We originally purchased over 200 of these chairs from the Cathedral.